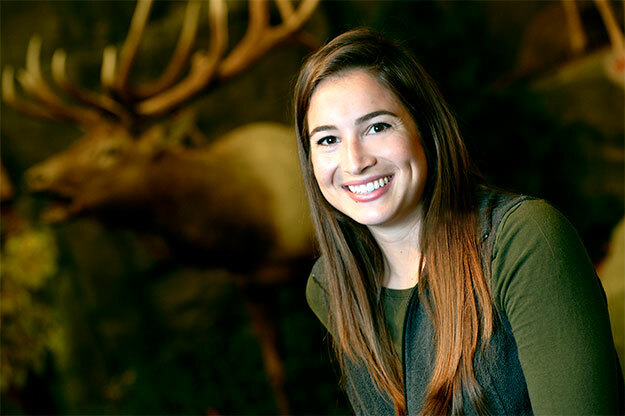 UND graduate student Jacqueline Amor is in the driver’s seat of a collaborative effort among UND, the North Dakota Game and Fish Department and the Standing Rock Sioux Tribe to understand the state’s elk population. Photo by Jackie Lorentz. One of Jacqueline Amor’s fondest memories of growing up in southern Florida is counting alligators during boat rides in the Everglades. Even when she travelled farther north, she found herself drawn to native fauna. Now, instead of counting gators, the UND graduate student is counting big game in North Dakota. Amor is in the driver’s seat of a collaborative effort among the University of North Dakota, the North Dakota Game and Fish Department (NDGF) and the Standing Rock Sioux Tribe to understand the state’s elk population. NDGF big game biologist Bill Jensen says the focus of the study is three small elk herds in Bottineau, Cavalier and Sioux Counties. 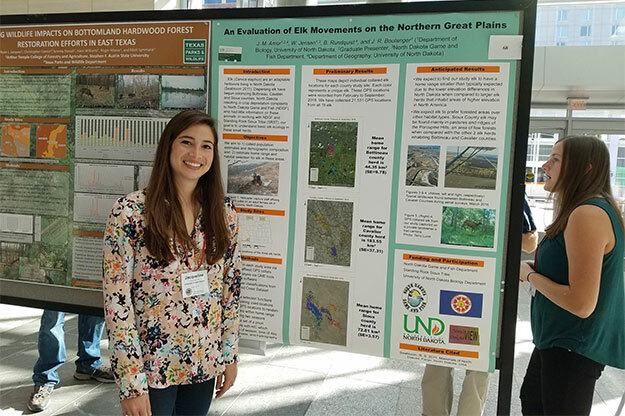 Amor shows off a presentation of her North Dakota elk herd study in October at The Wildlife Society conference in Raleigh, N.C. Photo courtesy of Jacqueline Amor. Amor, who is currently pursuing her master’s degree in geography, has an undergraduate degree in wildlife and fisheries biology. Her dual interest had her searching for a thesis topic that would allow a partnership between geography and biology. 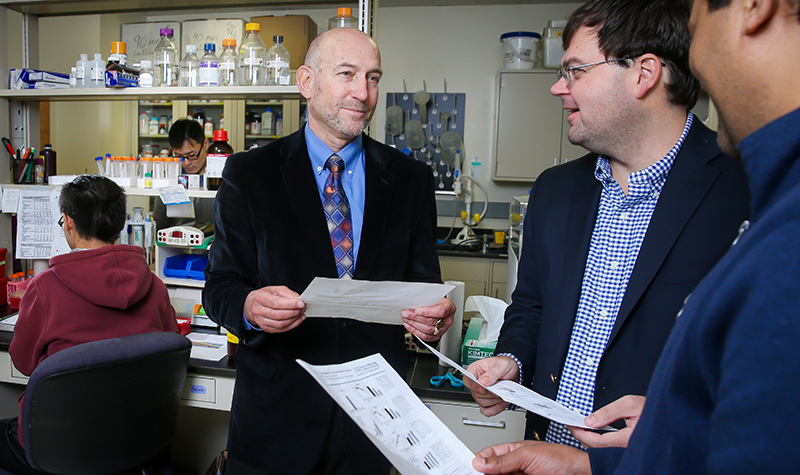 When her graduate co-adviser, Assistant Professor of Wildlife Ecology and Human Dimensions Jason Boulanger, pitched the project, Amor was all in. 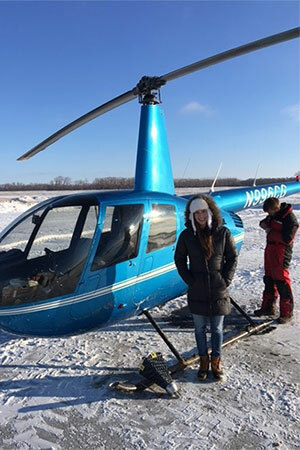 Amor poses next to a helicopter used to aid her and her colleagues’ efforts to capture and collar elk in North Dakota. Photo courtesy of Jacqueline Amor. 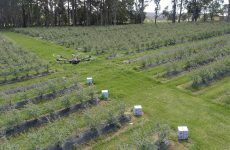 The elk ecology study became a priority for NDGF when it started to receive complaints of damaged crops in areas where elk are found. Amor’s experiential learning began with flights out west to the herds. She and Boulanger helped set up and test tracking collars that would be passed to a third-party capture crew, which would, in turn, collar the elk. Once the trackers were in place, Amor joined NDGF on aerial surveys to count the elk on the ground and watch their movements. Back at UND, Amor is in charge of gathering the location data that comes in every four hours from the GPS collars. She uses that information to estimate the home ranges of the three herds, their habitat resource selection and where they may head next. This information will be used by NDGF and the Standing Rock Sioux Tribe to set harvest rates for hunters and, ultimately, manage the population. Amor’s work has proved beneficial for the Standing Rock Sioux Tribe, which is in charge of its own wildlife management. Standing Rock Game and Fish Director Jeff Kelly says he’s glad Sioux County was incorporated into the study, because funding for studies like these is hard to find. Collaboration will continue in the classroom. 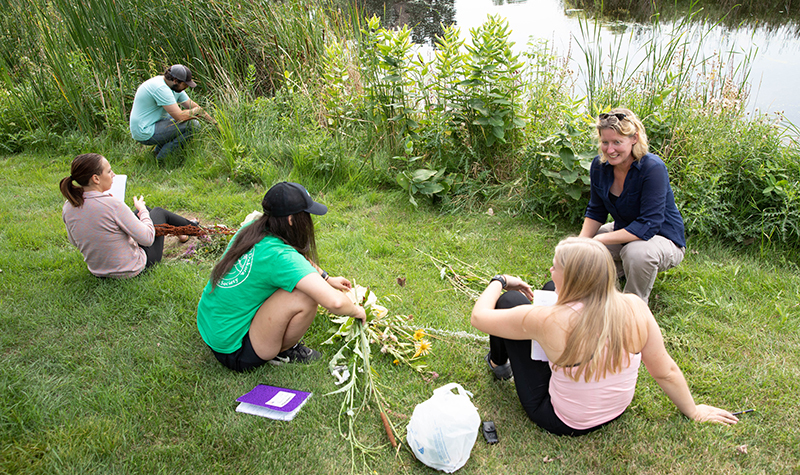 UND’s Boulanger and NDGF’s Jensen plan to spend time with students at Sitting Bull College to talk about the study and discuss big game management, adding an outreach component to the partnership.